One minor gripe that many folks have with the otherwise-superb interface is the fact that you have to manually refresh your feed to see new posts. But developer Erwin Goslawski has remedied this issue with a simple app, so the Google+ users out there certainly don't want to miss out on this one. 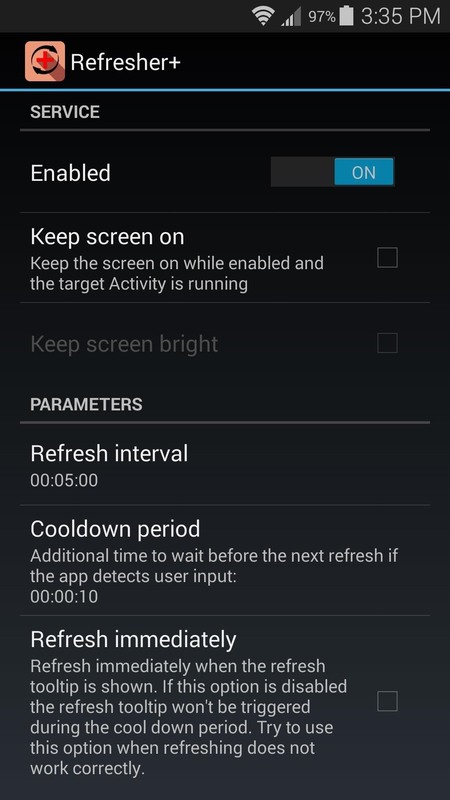 Goslawski's app is called Refresher+, and it can be downloaded from the Google Play Store for free. Head to this link to get the app installed on your device. 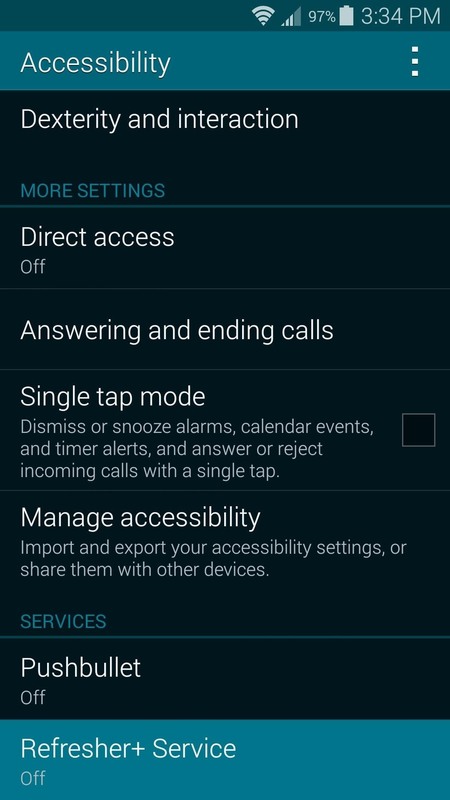 When you first launch Refresher+, the app will ask you to enable its Accessibility Service. 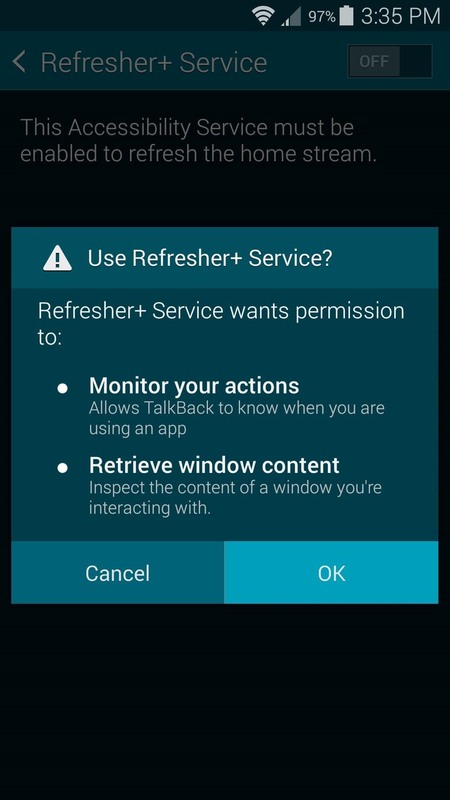 Tap "OK" on this message, then look for the Refresher+ Service entry on the next screen. From here, turn the service on, then press "OK" on the subsequent popup. 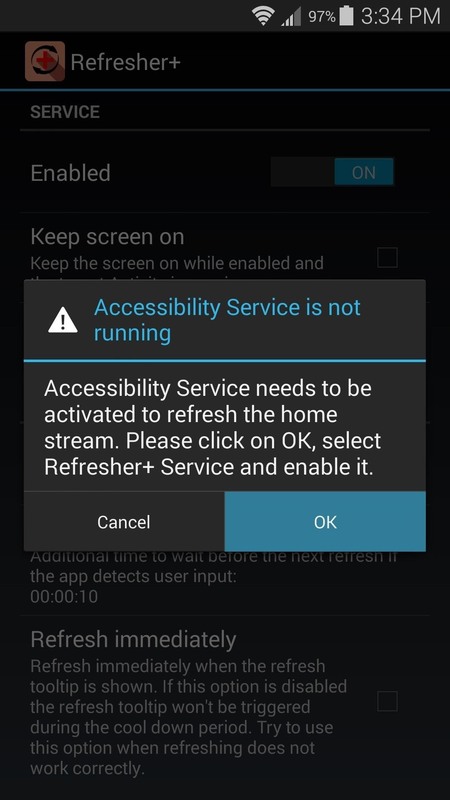 With the Accessibility Service enabled, back out to Refresher+. 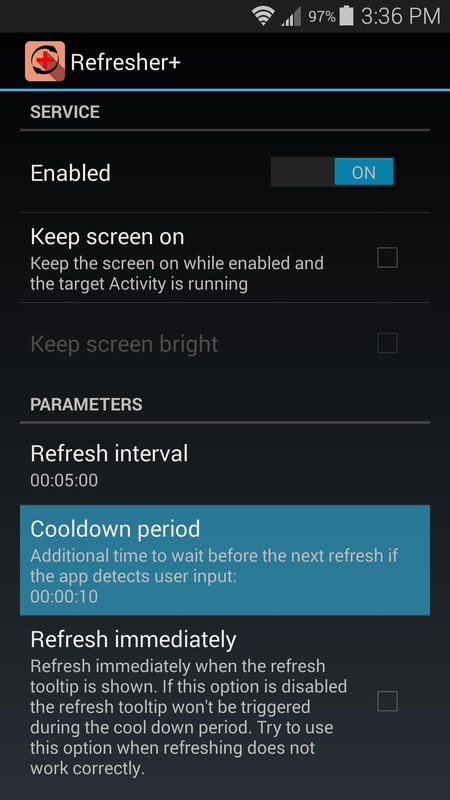 From the main menu, you can opt to keep the screen on while you're using the Google+ app, and you can set the refresh interval manually if you'd like. Considering that Refresher+ will automatically update your Google+ feed at the set interval, Goslawski implemented a Cooldown period that will postpone the refreshing if you're currently scrolling through your G+ feed. 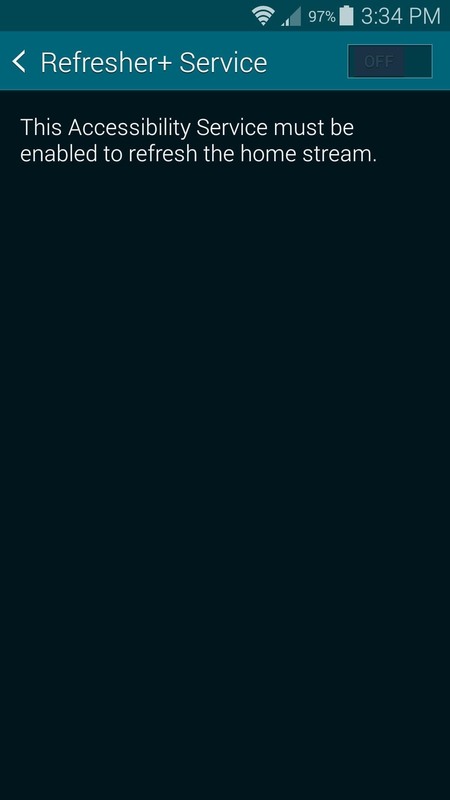 This prevents the app from bumping you back to the top of your feed if you've touched the screen within the last 10 seconds, but that period can be set manually here or turned off altogether with the Refresh immediately option. Once you have everything set to your liking, you can basically forget that you have Refresher+ installed. Any time you open your Google+ app from now on, the feed will be automatically updated. Have you found yourself using the Google+ app more often after applying this tweak? Let us know in the comment section below, or drop us a line on our Twitter, Facebook, or Google+ pages.